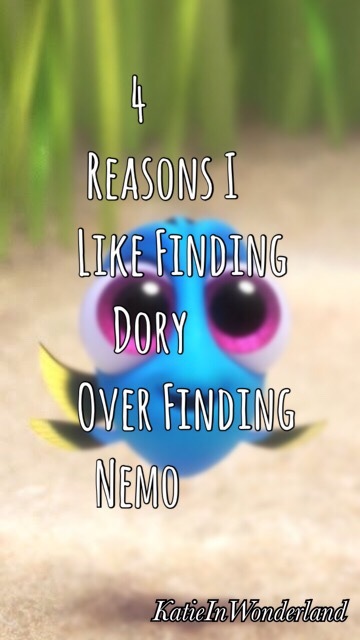 It’s true, not just click-bait I really do think that Finding Dory was better than Finding Nemo. I was actually wary to see Finding Dory but I eventually saw it in early August and I’m so glad I did. Dory is a very unique and individual character and people are usually drawn to characters that break the cookie cutter mold. It was enjoyable to explore her character further. People (this may just be a personal preference but maybe not) enjoy back stories. We like to know where people come from and how they got to be how they are today. I think Nemo and Marlin got to grow more, together in this movie. In Finding Nemo they both got to grow but here we really see them bond and become a close family unit. The new cast of characters were dynamic and funny. All of the new characters that were introduced served a purpose, either to further the plot and help main characters grow or were much needed comedic relief. Feel free to disagree with me but this is just how I feel about these movies. Also feel free to comment your opinions about the movies or suggest which Disney related topic you’d like me to discuss next! Also can we all just agree that baby Dory was the cutest thing ever! !